U.S. 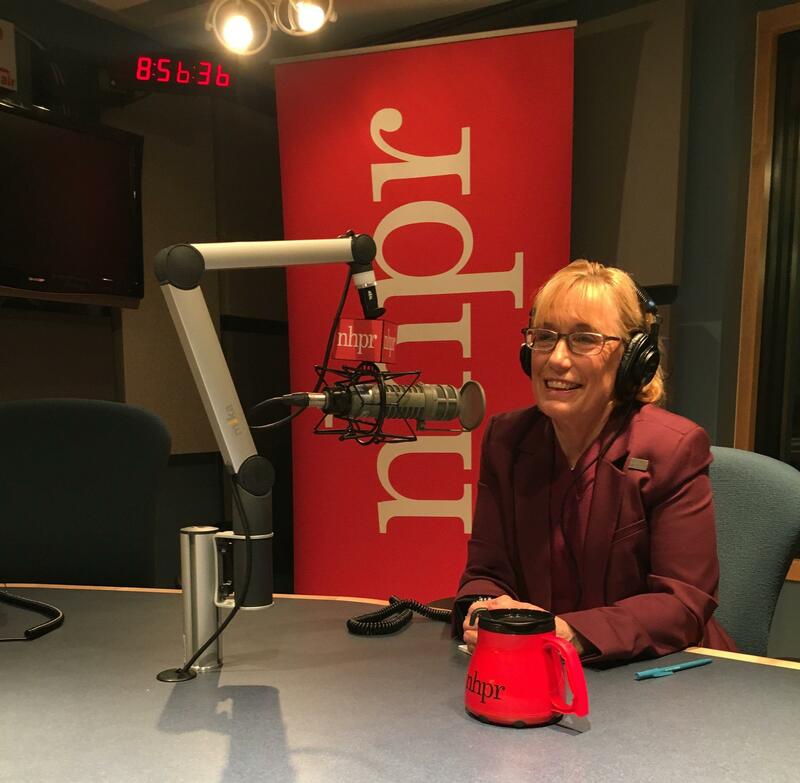 Senator Maggie Hassan discusses climate change, the Mueller report, and the opioid crisis on The Exchange. Scroll down for excerpts of the interview with Senator Hassan. You can listen to the full conversation and read the full transcript here. Note: Excerpts below have been edited slightly for clarity. You've written to the FDA Commissioner formally requesting answers about the agency's past policies regarding approval of opioid drugs. What are your concerns about the FDA? Everywhere I go in New Hampshire people talk to me about the ongoing impact that this opioid epidemic is having on individuals on families on our state. First responders who I just met with a couple of weeks ago are expressing what they characterize as compassion fatigue. They are going back to the same locations repeatedly to revive people who have overdosed. And frankly the most striking thing that I have heard is that they are concerned that children are becoming almost inured to their parents' drug use and to overdosing and to the presence of first responders in their home. One EMT told me that she went into a home and an 11-year-old little girl was giving CPR to her mother. And it's the second time that that little girl has revived her mother. We have to understand how we got here and we have to understand whether our own Food and Drug Administration, the agency charged with making sure that our prescription drugs are safe, whether they wittingly or unwittingly had a hand in overemphasising or encouraging and supporting the overprescribing of these opioids. We have this large federal grant, a lot of money. Everybody says that's good. But it's focused on opioids only, when we know addiction wrecks lives no matter what substance we're talking. How does that strike you? Medicaid dollars, starting with the Medicaid expansion system we put in place, can provide support and coverage for treatment of any type of substance misuse. But we are hearing that we're seeing a growing methamphetamine problem. Senators from other states, in different parts of the country, are saying that meth is a bigger issue for them than opioids. So it's one of the things I'm going to be taking back to D.C. with me to talk with our HHS folks there and just see whether there are tweaks or adjustments we should make. But..right now nobody's being turned away, and we will continue to fight to find resources that will address all kinds of substance abuse. In terms of climate, Senator Hassan, you said you want "bite-sized" climate solutions. So what's an example of a 'bite-sized”? Let's be really clear: we need to address climate change. It is an existential threat and we need to do it urgently. We also need to do it across party lines. We need to get moving on it now. And so I haven't -- and don't -- support the Green New Deal because it involves a lot of provisions that I think will be a distraction and cause more arguments while we have this pressing need in front of us that we need to be addressing right now. So we need to expand things like the Regional Greenhouse Gas Initiative-- something that I worked on in the state Senate and as governor. We need to provide incentives for investments in clean energy, to be sure we need to work on energy efficiency within our buildings. One of the most basic things we could do is work to make sure that the federal government's buildings are much more energy efficient and use green energy, something that would have a real and significant impact. I put in a bill that would make sure that states understood best practices in net metering, so more and more people could be incentivized to use green energy in their homes and sell back their access to the grid. We could all benefit from that. A listener asks: Do you support The Energy Innovation and Carbon Dividend Act, which would place a revenue-neutral fee on carbon dioxide causing pollutants, which is currently on the floor of the U.S. House? This is what some people call a carbon tax. Do you support that? I will look at the bill, I haven't looked at that one closely. Again, I think it's really important to invest in steps that move us as quickly as we need to go. And I want to make sure that any proposal doesn't distract and take us away from that. But I will look very closely at that. On Friday, President Trump complained to reporters about what he called Mexico's failure to stem the migrant influx. You sit on the Homeland Security Committee. Should the border be closed temporarily to get this problem under control? The quick answer is we do a massive amount of trade with Mexico and others over the Mexican border every single day. So the impact to our economy would be significant. And it's not a productive suggestion from the president. But what is critical here is that as we have this discussion, we realize that threatening our neighbor to the south, with whom we do a great deal of trade, and who has been an ally of ours, isn't going to build the kind of relationship that will help us get at the underlying conditions that are causing these migrant flows. Also this weekend the President said that he wanted to stop all aid to countries in the Northern Triangle: Guatemala, El Salvador, Honduras -- as if punishing those countries would somehow convince people who are desperate enough to make this incredibly difficult journey up to the Mexican border change their minds. That disregards the root causes of these migrant flows. We know that that foreign aid is helping local governments begin to address things like gang violence, which is one of the reasons you see people take this incredibly risky journey up to the border. So we need to be having constructive conversations with our neighbors to the South about how we can help stem the migrant flows. The percentage of uninsured Americans is going up according to several reports. How much is that a reflection Senator Hassan on the Affordable Care Act? There is a lot more work to do to improve and stabilize the Affordable Care Act. One of the things we saw is that in some areas of the country, insurers began to pull out of some of the markets. and one of my concerns right now is that the administration continues to take actions that undermine the Affordable Care Act, destabilize it, make its future less predictable. Which means that insurance carriers who have to kind of hedge their bets, either pull out of these markets or increase their prices, partly because some of the things the government did to help stabilize things have been undermined or sabotaged by this administration. So there are things we need to do to improve and lower the cost of health care especially around prescription drugs. But right now we are having to try to ward off this administration's attempt to undermine it and that is one of the things that is making it hard to address the overall cost issue. What do you think of Medicare for all? Some of your fellow Democrats running for president are behind it. I am concerned about some of the proposals right now -- about the impact that those proposals would have. As you transition people from one system to the next, it can be very disruptive to change healthcare systems, especially if you're somebody with complex medical needs. I'm also concerned about the upfront costs of some of these proposals. So I as a member of the Health Education Labor and Pensions or HELP Committee I will certainly consider any proposal that comes forward. But in the meantime, I think what's important is that we work across party lines -- like on surprise medical bills -- that we work to preserve the Affordable Care Act and really fight this administration's attempts to undermine and sabotage that Act and that we continue to work to drive down the cost of health care particularly right now -- pharmaceuticals, the cost of prescription drugs, is a major driver in health care. The Attorney General says he'll release a redacted version of the Mueller report in a few weeks. What will you be looking for in that redacted version? I think the entire report should be made public. Obviously if there are classified items in there, they have to be dealt with as such. But we have Congressional leaders who can sit with the administration and are allowed under law to get highly classified information and they should be able to see the full report. There are also other legal requirements that say that grand jury information is usually kept secret. But there are steps that can be taken to make that public too. I want to understand what happened here. This is about Russia attacking our democracy -- the most fundamental part of our democracy, which is our election system. We just need to see the report. In the meantime though, we also need to keep doing the work that our constituents rightly call on us to do which is to reach across the aisle and find ways to help small businesses and working families to lower the cost of health care, to keep our country safe, secure and free. And that's also really important. People are going to read the report and make their own conclusions from it. Dr. Anna Konopka, a physician in New London, surrendered her medical license in October to settle allegations from the New Hampshire Board of Medicine. Months later, she’s still fighting to reopen her doors. As her battle plays out in the courts, many of her patients are struggling to find a new primary care doctor. Many of them are low income and reliant on pain medication day-to-day.